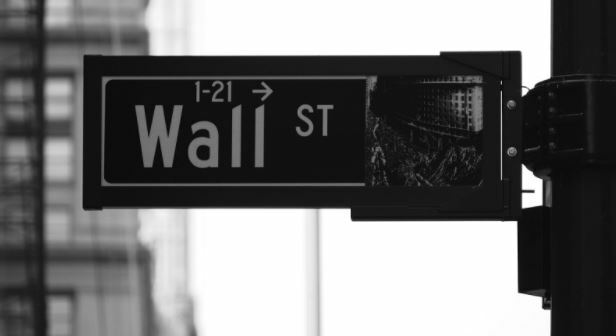 Trader tax status drives business tax breaks including employee benefit deductions for retirement plans, business expenses, and business trading losses with the Section 475 election. An active day trader can deduct these items from gross income without limitation. But how can you qualify for trader tax status? Unfortunately, only a tiny fraction of active traders are eligible for trader tax status, and the rules are vague and confusing to understand. You have a potential of saving yourself thousands of dollars in taxes each year. Interest Expense – Traders can deduct interest expenses on Schedule C.
Trading Seminars – Active traders that attend a seminar to improve their ability to trade may be able to deduct the cost. Home Office Deduction – As an active trader, you may be able to claim a home office deduction. Other Expenses – There are usually several extra expenses that come up. Such miscellaneous deductions include the cost of books. If you qualify, you may deduct other expenses on Schedule C. This type of deduction is allowed only if a day trader itemizes and only to the extent if the miscellaneous deductions exceed 2% of your adjusted gross income. 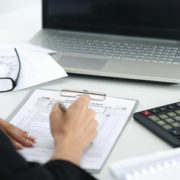 At Traders Accounting, we advise that you seek an expert in filing trading taxes. 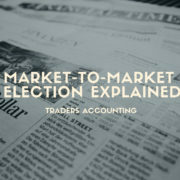 If you make one mistake, the IRS can deny your mark to market election or trader tax status, costing you thousands of dollars in lost deductions! Do you have any questions about trader tax status that we haven’t covered? 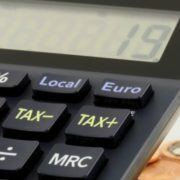 Any other tax-related issues? Please take a moment to fill out our contact form on our contact us page or call Traders Accounting at 800-938-9513 today!